We love Portland. That the Farmer’s Market is held on Saturdays right in the middle of the Portland State “campus” really made it feel like an intimately integral part of the city itself. And nobody in the whole Farmer’s Market was talking or texting. They were all interacting with each other. And in Oregon, they pump your gas for you. No one has done that for me at a gas station since I was 17. Portland is cool (as is Portland, Maine). I was there for my grandmother’s 90th birthday, and went with my own mother to the National Sanctuary of Our Sorrowful Mother, which is beatific . . . and challenging to get to via an ancient elevator up a cliff . . . http://www.thegrotto.org/ There’s a glass overhang with stunning views . . . mind-blowing . . . I advised one of my Detroit students to attend Reed College, which seemed like a perfect fit, and he did . . . first name of Evan, come to think of it . 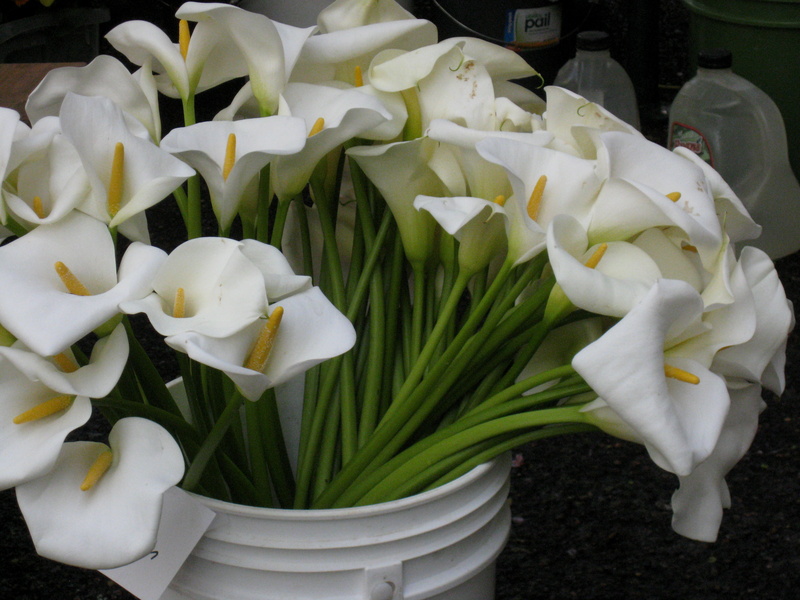 . .
My Mother’s name was Lillie and every time I see any type of flower named Lily, I think of her. Pretty flowers.